Vardhman Hoses Private Limited was established in the year 1996 at Bhiwadi, for providing reliable electrical insulation solutions. 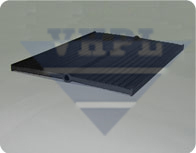 As a significant manufacturer and exporter of Electrical Insulating Mats, the company has carved a niche in the global market. Mr. Ashok Kr. Jain has been the real source behind our dynamic success. Our professional team has been successful in providing quality services, and carving out a distinct niche in the field of Electrical insulation.